GRAND PRIZE OF $100 & THE COVETED TURKEY!!! 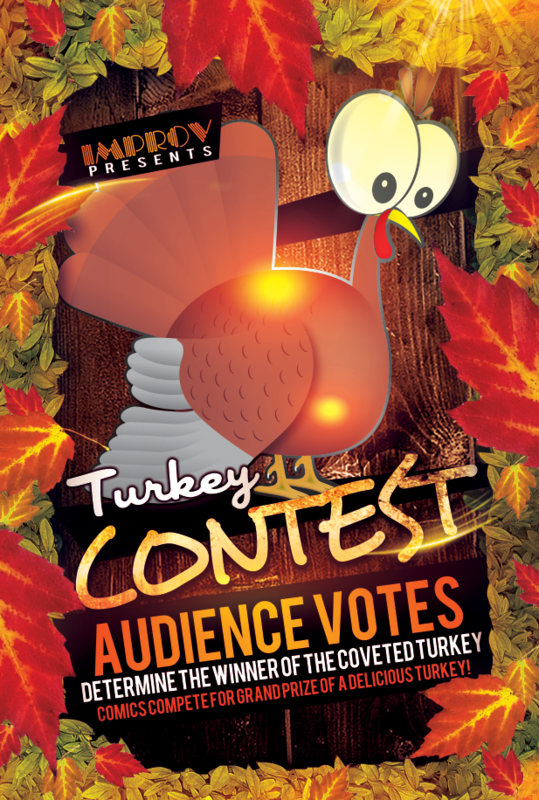 The Tempe Improv's Annual Turkey Contest is here! This Special Edition of our New Faces of Comedy Night has a special prize, the winner gets $100 plus the coveted and delicious Turkey!! !